Some things are hurrying into existence and others are hurrying out of it; and of that which is coming into existence part is already extinguished. Motions and changes are continually renewing the world, just as the uninterrupted course of time is always renewing the infinite duration of the ages. In this flowing stream then, on which there is no abiding, what is there of the things which hurry by of which a man would set a high price? 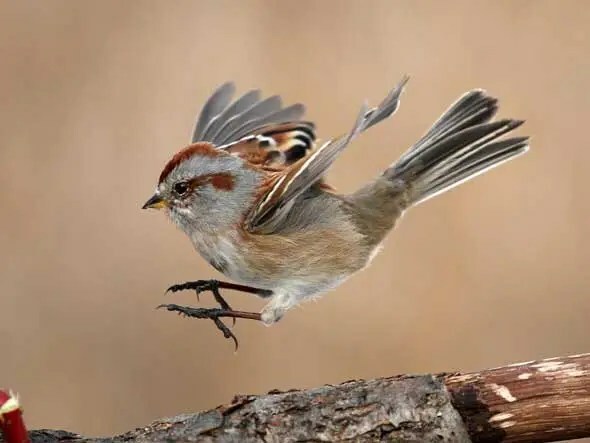 It would be just as if a man should fall in love with one of the sparrows which fly by, but it has already passed out of his sight. – Author to be revealed in about 300 words! Things come and go; there is no denying. We of course all know this. And we fall in love with people, places, things … all fleeting sparrows. Aren’t there things we value — even some things we would give anything for (and isn’t that quite a high price?) — that we wish would never change? My particular melancholy comes from wanting certain things to not change, because I’ve worked so hard to get them into a state where I don’t want them to change anymore! I admit to my silliness. Perhaps my silliness is as inevitable as change itself? I think yours might be too. Our nature is that stream; we see things come, and go; some of those things that come we fall in love with, and we want them to not go. We of course all know this. We’ve known it for a long, long time. No, really; a long, long time. Those words were written by the Roman Emperor Marcus Aurelius, some 2000 years ago, in his Meditations. Living is a flowing stream. I read your blog this morning and I’m now convinced that the universe is speaking to me. Last week, I sat down with my counselor and we talked about the illusion of control and the serenity prayer. It reminded me of our breakfast many months ago. Yesterday afternoon, I attended a wake for a colleague/friend’s husband. While expressing my condolences, she expressed her opinion that we have very little control of what life brings us. At that moment, I heard John Greco whispering softly in my ear that “Control is myth”. Nice post, John. It motivated me to find a digital picture of the serenity prayer and use it as the wallpaper for my computer. Peace right back to you my good friend.